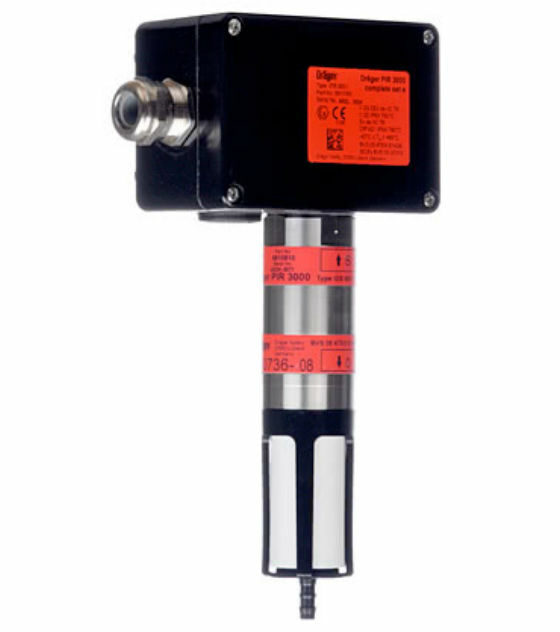 The Drager PIR 3000 is an explosion proof infrared gas detector for continuous monitoring of combustible gases and vapors. Based on a stainless steel SS 316 enclosure as well as on a good measuring performance, this transmitter offers an excellent price-performance-ratio. The superior performance characteristics of infrared technology (such as poison immune and "fail-safe" operation) have been known and valued in gas detection for many years. The PIR 3000 now offers these performance benefits more affordably, combined with low maintenance costs and a long life time of more than 15 years, cost of ownership is significantly reduced. The PIR 3000 offers a gas library with three gas categories: methane, propane and ethylene. Therefore, nearly all hydrocarbons are detectable. In addition, temperature-compensated linearisation curves allow for signal output for individual substances. Through optional accessories - e.g. the process adapter or the duct mount set - a multitude of measuring tasks can be performed professionally. Based on its exceptional product quality, the PIR 3000 offers high reliability and excellent measuring performance, in relation to long-term stability. With GRP junction box and 316 stainless steel enclosure, a temperature range of - 40 to + 65 °C (- 40 to + 149 °F) and heated measurement optics driving off compensation from the lens, the PIR 3000 is suitable for all the worlds climate zones. 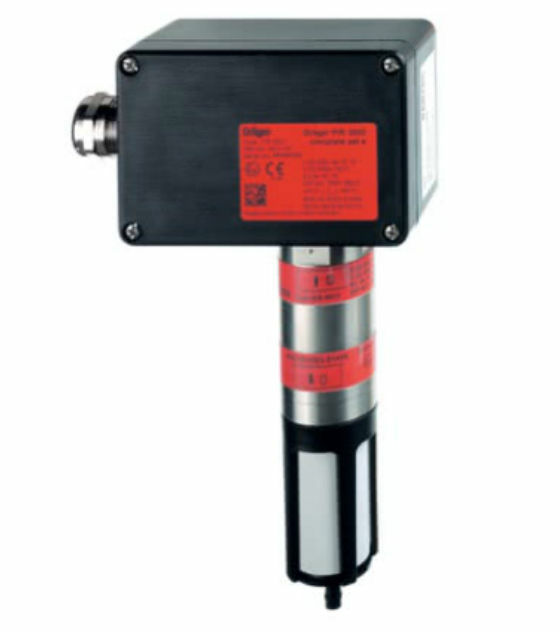 All transmitters are equipped with splash guard and calibration adapter. The complete set contains a junction box, already pre-assembled.